Now here's a little online store to keep in mind next time you're on the search for unique and special gifts for kids. Odette Williams is a dear friend of Boheem's and seems to make beautiful anything she chooses to turn her hand to. 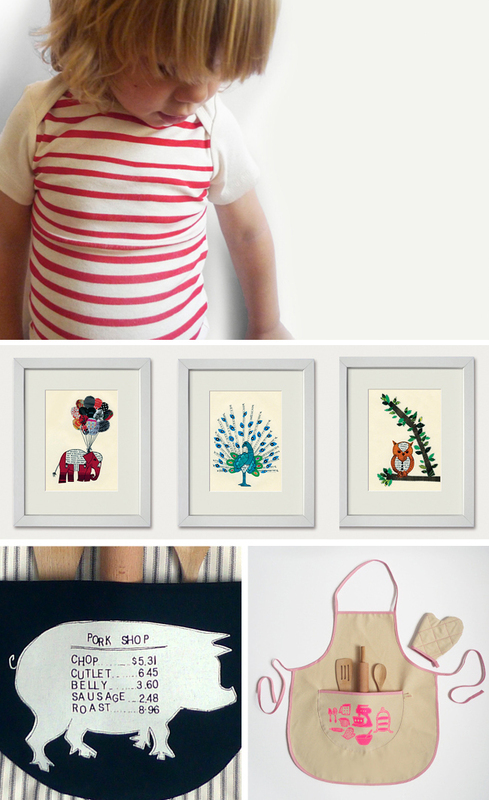 She's created a lovely range of baby's and kids onesies and tshirts and is offering these at her shop, as well as some really sweet lovingly made collages, plus fun apron sets. Although she will always call Australia home, Odette lives and works in New York. We're so excited to see her launch this range and can't wait to see what else might be added to the collection in the coming months and years.